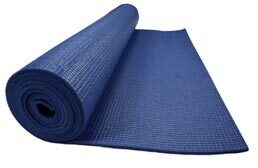 Discover high quality, slip resistant, colorful yoga mats with professional quality at department store prices. 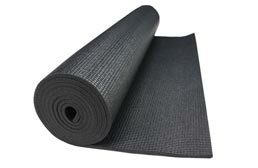 We go beyond traditional yoga mats, also offering mats in foam, rubber, and eco-friendly cork. 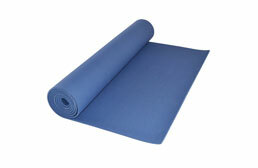 Our yoga mats are extraordinarily inexpensive without sacrificing quality. Available in 20+ colors, there are certainly plenty of options to choose from, ensuring you can keep your practice not only safe but stylish. We also offer a special kids yoga mat so that you can include your little one in your practice or help them begin their own. Each of our yoga mats is easy to clean and extremely portable. Pair your mat with a couple of our cork yoga blocks for an added tool to your practice tool box. You’ve committed to this new resolution to workout and get healthy. You’ve done your research and found the perfect online yoga videos to get you started. You bought your fancy yoga pants at Lululemon and it’s Monday morning, you’re ready to go! Hold the phone. This floor is hard! Where is your yoga mat? You forgot your yoga mat! The world comes crashing down all around you. Okay, in all seriousness, the yoga mat is the most important item you need for your yoga practice. In fact, it is the only thing you really need, beside yourself. We’ve all bought the janky, low-quality yoga mat at the store and lived to regret it. You get to class and you see people with these gorgeous yoga mats and, meanwhile, you’re slipping all over your cheapy mat wondering where you went wrong in life. 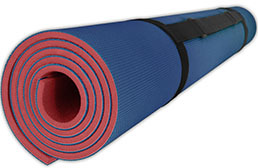 It’s challenging to know where to get started when you’re looking for yoga mats for sale. Luckily, you’ve come to the right place! These yoga mats represent your traditional yoga mat. 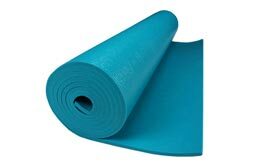 Most yoga mats are made from soft plastic/PVC, so these yoga mats will be exactly what you expect with no surprises. Our outrageously affordable yoga mats offer the same cushion and slip resistance as other, more expensive mats on the market, but at a price that can’t be beat. In fact, you can check out our Deluxe Yoga Mat, which is similar to the Manduka mat, but at a fraction of the price! And don’t get us wrong, these are not cheap yoga mats, we just don’t believe in charging you a whole buncha extra money. Okay, so foam probably isn’t the first thing that comes to mind when you hear the term “yoga mat”, but a foam yoga mat can be an easy, portable and versatile solution. Try using a portable exercise mat or a soft mat for both your yoga practice, and other body conditioning exercises. Who says you have to be traditional, anyway? Wait! Don’t go anywhere! We promise it doesn’t feel like a tire! Just hold up and hear us out for a second. If you love practicing yoga, chances are you also love the environment and keeping things natural and resourceful. 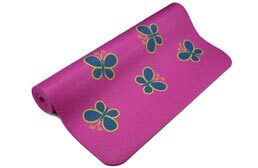 Our Eco Yoga Mat is made from natural rubber, containing no PVC. With a non-slip surface and unmatched cushioning, our Eco Yoga Mat is the yoga lover’s dream. A cork yoga mat will get you in the mood for that glass of vino you plan to enjoy afterwards! Just kidding...well, half kidding. Composed of both cork and rubber, this eco-friendly yoga mat is really the best of both worlds, giving you comfort, durability, and excellent slip resistance. If you love hot yoga or if you just happen to have a sweating problem (that means your body is efficient! 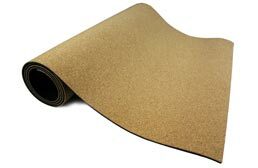 ), then a cork yoga mat is a great choice. 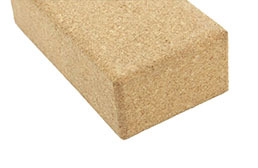 Take it one step further and purchase a cork yoga block to go with it!